This week’s Sunday Digest features must-read books like Michael Avon Oeming’s The Victories from Dark Horse, The Steam Engines of Oz from Arcana Entertainment and Neil Gaiman’s The Ocean at the End of the Lane. 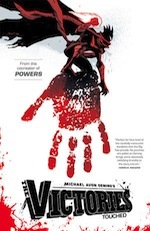 Michael Oeming’s dark and violent take on modern superheroes was launched as an ongoing series last month, and the mini series which preceded it is now available as a collected version. Oeming’s work never pulls any punches when it comes to showing the seedy under belly of his superhero worlds, and The Victories is no different. Mixing the best (and worst) elements of his work on Powers and also the Mice Templar at times this first series descends too far into the twisted darkness and makes for uncomfortable reading, however for fans of his work this another tour-de-force and an absolute must read. Part of Arcana’s new Steam Punk Originals series, The Steam Engines of Oz take L. Frank Baum’s Oz stories and gives them a comic book/manga make over. 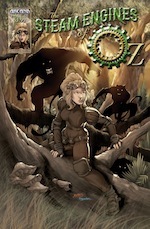 Rather than re-hash the Dorothy/Wizard story yet again writers Sean Patrick O’Reilly and Erik Hendrix have taken the characters from those stories and repositioned them with the Tin Man now an evil despot and the Lion’s followers roaming the woods and attacking our heroes. Although slightly confusing at times with lots of characters introduced in this first issue, this is a really unique take on the world and has the potential to be something really fun. A great addition to the Arcana line up, especially if you check out the extra Free Comic Book Day issue which acts as an issue #0. Issue 1 available via ComiXology. 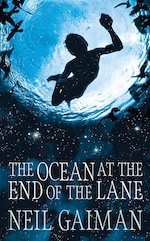 Sandman author Neil Gaiman’s latest novel is another dark-hearted fairytale in the same vein as Coraline or The Graveyard Book. Based on elements of his own childhood but adding in the classic Gaiman elements of mythology, dreams and cats, it is a delightful read that reminds you just what a stunningly original voice Gaiman has as a writer.